Jewish Studies Program Lautenberg Lecture: Professor Jeremy Dauber "Jewish Comedy: A History in 5 Jokes"
Please join the Jewish Studies Program as we welcome Professor Jeremy Dauber. 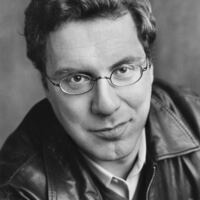 Jeremy Dauber is the Atran Professor of Yiddish Language, Literature and Culture and director of Columbia's Institute of Israel and Jewish Studies; he also teaches in American studies at Columbia University in the City of New York. Refreshments will be provided. This talk is gerenerously sponsored by the Lautenberg Endowment.